Last week we made "Citrus Collards Redux" from the Vegan Soul Kitchen cookbook. If you've never cooked with collards before, this is a super easy recipe to follow and a good way to introduce collards to your family. Collards are nutritionally dense like Kale. They are an excellent source of Vitamin A, Vitamin C, Vitamin K, Manganese, Folate, Calcium, and Omega-3 fatty acids. They are also a great source of Fiber, something the Standard American Diet greatly lacks. First, meet the raw Collard Green. This is what they look like and they are sold in bunches at most stores. I recommend buying them Organic since the Organic version is more tender than the conventional and contains less pesticide residue. To prepare the greens you must first remove the stems. I cut them out with a knife two leafs at a time. Now we do the Chiffonade! You will feel like a real chef doing this. Roll the leaves two or three at a time and then slice like you would a cucumber. Now it's time to start cooking! But I guess I should let you know what all you need to buy besides Collards to make the recipe first! First of all, this recipe called for boiling the Collards, which I did not do! I don't believe in boiling greens or any vegetable for that matter, but I know this is how they cook things in the deep south. The way I cooked it keeps the nutrition in the pan! You will need a LARGE nonstick pan with a lid for this or you will need to cook in batches if your pan is not big enough. With your pan on the stove set at Medium, start cooking your garlic in 2 tbsp water. When the water evaporates add 2 more tbsp and the 1/4 broth cube. Give the garlic at least 2 minutes before you add the collards. When you add the collards put 1/4 cup water in with it and close the lid. Give them a stir every couple of minutes until they are bright green and soft. This will take about 10 minutes. Add the raisins to the bottom of the pan and turn the stove down to Low. Let them warm up for a few minutes and then add the OJ. Now they are ready to serve up! Enjoy! In the next two weeks I am really giving away something BIG to one new subscriber....I have decided to give away one ticket to my Plant Based Nutrition and Wellness Bootcamp at the Holistic Living School in downtown Orlando. This is an 8 hour class valued at $75! UnCooking Demo- Dr. Joel Fuhrman’s Chocolate Green Smoothie. Class 3: Making Changes in other areas of your life. Cooking demo and DOOR PRIZE DRAWING! Weekly Support Group Meetings will be offered following the Bootcamp. 1. You must be a NEW subscriber to the blog as of January 26th, 2011. 2. You must be living in the Orlando area (or willing to drive to Orlando for the class). 3. You must post at least one comment, multiple posts will increase your chances of winning. 5. If for some reason the class is cancelled, you will instead receive 4 hours of one on one coaching! STEP 1: Soak 1-2 cups of almonds by covering with filtered water and place in refrigerator overnight. Don't worry about how much water is in there, it will be discarded. STEP 2: In the morning drain the water and rinse the almonds. The skins will come off easily, peel all the almonds and discard the outer peel. Removing the peel gives the milk a smoother, less bitter taste. STEP 3: Place the almonds in a high powered blender or food processor with 3 cups of water for every 1 cup of almonds you soaked. STEP 5: Strain the pulp from the liquid using a Nut Milk Bag. You can place it inside a pitcher and cinch the sides so that when you pour the milk into the pitcher it stays in place. STEP 6: Lift the bag out of the milk and squeeze the remaining milk out into the pitcher. You will have some nice chunks of pulp from which you can make: a raw dessert, vegan cheese, or a facial mask. You could also put it in a smoothie for extra protein and fiber. STEP 7: Pour into an airtight GLASS container unless you have a plastic one that is BPA free. I found mine at IKEA for under $10. Fresh almond milk stays good for up to 3 days in the refrigerator. It doesn't last long in our house since I use it for green smoothies, so that's why I make a couple of jars at a time. Have fun with it and post in the comments section if you decide to make it! This week a Menu with Soul! Over the next week I will be putting together a menu plan with soul! 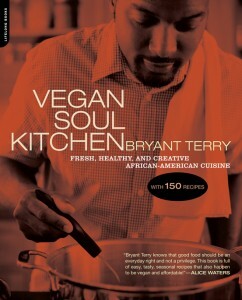 I am excited to be using Bryant Terry's Vegan Soul Kitchen, a masterful collection of traditional southern food that is "ingredient-driven, local, seasonal, soulful food". This is a must have cookbook for anyone who loves southern food, you don't have to be vegan to enjoy these recipes! "How can I manage my diabetes without going on a high protein diet?" Since I don't know if she was asking about Type I or Type II diabetes, I will assume it is Type II. Either way, plant based diets are the best diet for both. I have good news Tara, you and others with Type II Diabetes can stop managing your diabetes with medications and start managing it with nutrient dense plant foods by adopting a Plant Based Diet! The medications you currently take may give you normal numbers on your blood tests but that doesn't equate to health when you are manipulating the numbers with pills. Medications put a band-aid on the problem, they don't get to the root cause! Eating the right foods, exercising daily for 30 minutes or more in your target heart rate, getting restful sleep and practicing stress relief are habits that will address the root cause. In Dr. John McDougall's newsletter dated December 2009 he writes, "Drug therapy has consistently failed patients with type-2 diabetes, and their well-intended doctors, making the search for an alternative treatment imperative. Since the rich Western diet is agreed to be the cause of this epidemic, should diet not be the first place to look for the prevention and the cure? Written reports on the benefits of a low-fat, high-carbohydrate, plant-food-based diet on type-2 diabetes date back to at least 1930. Several published studies demonstrate how type-2 diabetics can stop insulin and get off diabetic oral medications with a change in diet. One goalpost is weight loss to the point of normal body weight, at this time the blood sugars of most patients diagnosed with type-2 diabetes will normal, and then everyone will agree that no further treatment with medications is needed. By great good fortune, this same low-fat, no-cholesterol diet successfully used for diet-therapy for diabetes has been shown to prevent and treat heart and kidney disease, and prevent many common forms of cancer. Heart disease accounts for 70% of the deaths in diabetics, diabetes is the number one cause of kidney failure, and cancer is more common in diabetics." As far as high protein diets go, the only thing healthy about them is most of them ask you to stay away from processed carbohydrates. Which I'm sure you know as a diabetic you must be careful with refined foods. However, animal products are not exactly health foods! Like processed foods, they are devoid of vitamins, minerals, fiber, water and phytochemicals. The protein in plant foods is equivalent to the protein in animal foods. You do not have to focus on eating more protein on a plant based diet or combining beans and rice to get essential amino acids. As long as you get enough calories from eating nutrient dense foods you will get more than enough protein and essential aminos. Protein requirements are overstated in this country- the main reason is because the USDA Food Pyramid is manipulated by Agribusiness lobbyists. It has not been designed with optimal health in mind. Dr. Fuhrman has had great success with diabetics on his "Eat for Health" Plan. My advice is, first read the book. Then, talk to your doctor about it (bring the book to your visit) so that you can work with him/her to gradually adjust your meds to the point of weaning off them entirely as you lose weight. 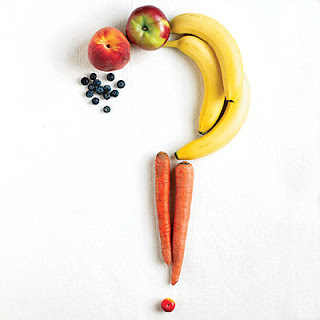 Do you have a question about nutrition, how to cook a certain vegetable, or need suggestions or ideas on how to get a spouse or child on board with eating healthier? Ask it here!! If I don't know the answer I will forward to Dr. Fuhrman, Dr. Popper, or one of the many RD's who specialize in Plant Based Nutrition and get it answered for you every Friday. We are harvesting this much Daikon Radish and Turnips on a weekly basis! I never had such appreciation for these kinds of vegetables until we set up the garden and I started finding recipes to cook with them. Raw, they can be shredded and put on a salad or in a wrap, but they are a bit pungent. Cooked, they become very mellow, almost like a potato. The word Diakon actually comes from two Japanese words: dai (means "large") and kon (means "root"). The vegetable is said to have originated in the Mediterranean and brought to China for cultivation around 500 B.C. It is rich in Vitamin C and contains active enzymes that aid digestion, so definitely include these in your family's diet! Turnips are members of the Cruciferous family of vegetables. The root is good source of Potassium, Calcium and Magnesium and Vitamin B6. The green leaves on the top of the turnip are a good source of vitamin A, folate, vitamin C, vitamin K and calcium. They are also high in lutein which is important for eye health. Yesterday I made Kale with my garden daikon radish and turnips in a Tamari Tahini Sauce. I will share the recipe tomorrow, so check back soon! If you've never enjoyed a Thai Coconut before because you were intimidated by how to open it, I will show you how it's done! First of all, it is very messy. You may want to do it outside on a cement patio for the first attempt, where you can easily sweep the coconut pieces to the grass. You will get coconut all over the counter and floor of your kitchen if you decide to open it there, so keep that in mind! When choosing a Thai Coconut make sure there are no pink or moldy spots on the bottom of the coconut. That could be a sign of a bad coconut. Step 2: Go all around the outside edge until water leaks out, sometimes it will gush out, so be prepared. Have a large glass handy so you can set it on the glass to pour out. If the water doesn't pour, poke the spot where its been cut open with a knife to make the hole bigger. Step 3: Once the water is completely emptied you can start going around the outside of the coconut again until it's opened completely up. Your coconut should be white on the inside. Use a metal spoon to scoop out the pulp. This can be eaten as is or blended in a smoothie or made into a raw pudding. My kids like it straight out of the shell as a refreshing snack. Don't eat it! Take it back to the store if it's pink or grey. It should be bright white. Thai coconut water is great for hydration if your children ever get sick and have vomiting or diarrhea. It is also good to have during sporting events that last more than one hour or that are played outside in the hot weather. You can buy it canned, you don't have to drink it raw, but it is difficult to match the taste of raw coconut water! As you can see in the background, it is pouring here in Orlando! This kind of day called for a special smoothie, one that honors two of the traditional southern foods in African American cooking- Collards and Rhubarb! While listening to Martin Luther King Jr.'s "I have a Dream Speech" and writing down our own dream for America, we are having this "Rainy Day Smoothie". Put all in the blender except greens. Blend on high and then add greens. Enjoy! Works best in a high powered blender (Vitamix or BlendTec) or food processor. New Edition of Eat To Live is here! Here's a nice short interview with Dr. Fuhrman about his Nutritarian Plan. I'm super excited that his book "Eat to Live" has a brand new edition. Eat to Live was one of the three books I first read that greatly influenced my decision to go vegan. The research was astounding and the equation of health = nutrients/calories just made sense to me! The new edition has been completely updated and includes an entire new chapter on conquering food addiction and overeating. It instructs readers on how to leave behind the discomfort of toxic hunger, cravings, and addictions to unhealthy foods. There are new inspiring success stories from people who have used the program to lose dramatic amounts of weight and recover from chronic illnesses; up-to-date scientific research supporting the principles behind Dr. Fuhrman's plan; new recipes and meal ideas. New recipes and menus are included as well as new and updated Frequently Asked Questions. If you already own a copy of Eat To Live, give it to a friend and get the new book for yourself. Go to Amazon to get your copy and support my blog! 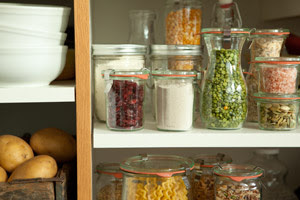 Win a Healthy Pantry Makeover from Whole Foods! The $99 gift card will cover shelf-stable basics for stocking a healthier pantry. Hurry and post a comment on the Whole Foods site by January 31st for a chance to win. More Great Deals on Kale! If you live in the Orlando area and don't belong to a produce co-operative, I highly recommend checking out Hoover's Essential Health in Altamonte Springs! They have some of the best prices on greens. $2.15 for a large bundle of Organic Kale, Collards were $1.99 a bundle AND I found Thai Coconut for .99/lb! These are not sale prices, these are normal low prices. They carry more organics at better prices than my Publix in the Winter Park Village that has a large "Greenwise" Organic section. Fresh shipments come in every Tuesday and Thursday. They have a large bulk section and great prices on dried unsulphered fruits too! As promised, here is this week's kale recipe! That's 2 down, only 50 more to go for this year! Tonight, like most nights, my 8 year old helped me with cooking. Here she is adding the kale to the soup base, which is Roma tomatoes. This recipe is from Appetite for Reduction by Isa Moscowitz. The original recipe calls for spinach, but I thought kale seemed like a better addition, well since I'm on a mission and all! Bring a pot of water to a boil for the pasta. Heat a large skillet over medium heat. Once hot saute the garlic in 2 tsp water for one minute. Add the tomatoes, broth, oregano, and salt or salt substitute. Bring to a boil. Once boiling, add the beans and lower heat to medium. Cook until tomatoes are broken down and the sauce is reduced and thickened, about 15 minutes. In the meantime, add the pasta to boiling water and cook according to the package directions. Once the sauce is thickened, simmer over low heat to keep warm and add kale in batches until wilted. COST: Not counting spices, the total cost of the meal was $10.68! Kale was BOGO at Publix last week (using the Greenwise ad from the internet and getting my store manager's approval), so cost was $1.50 for the pound. The beans were Eden Organic and I got them for $1.90 with a coupon. The Tinkyada was not on sale, it was $4.29. Organic Roma Tomatoes were $2.99/lb. And there was plenty leftover for lunch tomorrow for at least 3 extra servings! Florida School of Holistic Living hosts my Plant Based Nutrition Bootcamp! This week is the first running of my Plant Based Nutrition and Wellness Bootcamp! I am excited to be bringing this workshop to the Florida School of Holistic Living in Downtown Orlando. If you live in the Orlando area and are looking for help with transitioning to a healthier way of eating, please give the school a call and sign up! You can read more about the bootcamp by clicking on the link above. Hope to see you soon! Join the Eat Right America Challenge! Jumpstart the new year by joining the Eat Right America Challenge! Click on the above graphic to take the 5 minute survey to see where you currently are with your eating and health habits compared to where you should be for optimal health. "The pupose of the 28 day program is to give your body a chance to change its biochemistry, build up its nutrient stores and see how much better life can be when you are properly nourished. At the end of the 28 days, you will be well on your way to becoming a Nutritarian and enjoying the benefits- weight loss, more energy, less stress, better sleep, clearer skin, fewer headaches, etc." Join my Yahoo Group for ongoing group support as you transition to a nutrient dense Plant Based Diet! by Isa Moscowitz. It's called Curried Chickpeas and Greens. This is actually a popular indian dish made much healthier than what you can get in a restaurant. I made some modifications including halfing the ingredients to make a smaller amount. This recipe, when served with rice, makes 4-6 servings. Preheat a 4-quart pot over medium heat. Add the mustard seeds and cover. Let the seeds pop for one minute, or until poping slows down, stirring once. Quarter the onion and place in a blender with garlic, ginger and half of canned tomatoes. Blend until well shredded but not pureed! Pour into the pot. Sautee until the onions look translucent. Add the curry, cumin, coriander, garam masala and salt. Mix well. Add the remaining tomatoes and torn pieces of kale into the blender. Blend until well chopped (you should be able to see stems) but again, not pureed. If you have a Vitamix you will need to use the tamper to push the kale down toward the blade. Add to the pot and stir until kale looks completely cooked. It should take around 7 minutes. Add chickpeas and cook for another 5 minutes. I served it with Organic Sushi Rice. Sushi Rice has 1 gram of fiber per serving, which is better than no fiber in normal white rice. You could also serve this with brown rice. Absolutely! This is a great Phase II meal. It definitely helps meet performance goals of getting 1 pound of nutrient dense veggies and 1 cup of beans daily. Of course when you break it down per serving you are getting closer to 1/4 pound of veggies and 1/4 cup beans, but still a good amount. If you add a large salad of mixed greens and raw veggies you are really boosting the MANDI score for this meal. Affordable? You bet! $6.00 for the meal or $1 per serving! Kale was BOGO at Publix (using the Greenwise ad from the internet and getting my store manager's approval), so I got two bundles for $2.99. The beans were Eden Organic and I got them for $1.90 with a coupon. I used Lundberg Organic White Sushi Rice to go with it. The Sushi Rice was on sale at Whole Foods 2 bages for $6. I had $1 off coupons for each bag plus I ordered a case so I got an additional 10% off. This made the per bag cost about $1.75 per bag. Starting 2011 off with Super Yummy KALE! How can you get more Kale into your diet in 2011? I will help you address this with a weekly kale recipe this year. 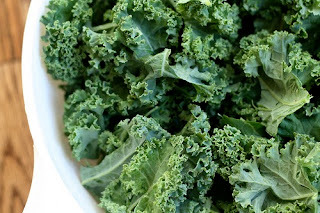 I have no idea how I'm going to find 52 kale recipes that are tasty and low fat but that is my BIG goal for this blog in 2011. We all need to eat more Kale! Kale is a superfood. It has the highest number of nutrients per calorie. It is high in phytochemicals, Vitamin K, Vitamin A, Vitamin C, Manganese and Calcium. It helps to prevent several different cancers. You can read more about it on the World's Healthiest Foods website. Do you have a Kale recipe to share? Send it to me and I'll give it a try! If I like it, I'll blog about it and give credit back to you and your blog if you have one.